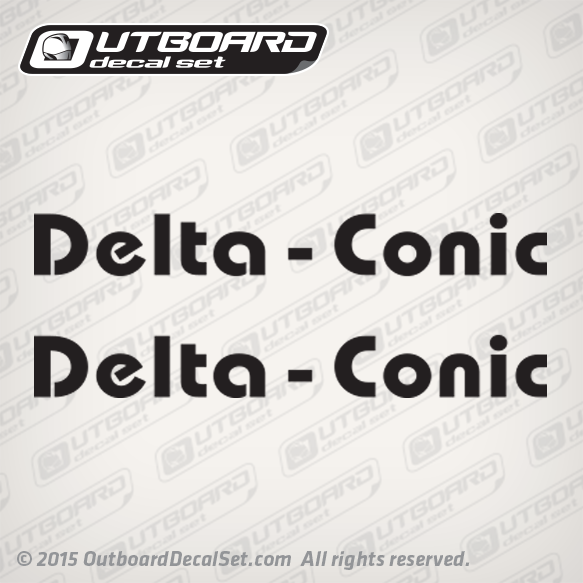 Larson Delta-Conic flat-vinyl decal replica Sold by Set for each side of your boat. Decals made for a 1987 21 ft Larson delta conic DC215, may work on other Larson boat models aswell. Die-cut on colored vinyl. You get (2) Larson Delta Conic Boat decals, Includes one decal for each side.